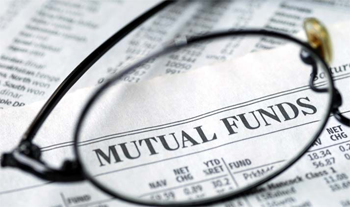 The Mutual Fund investor looks for returns in excess of the returns from the broader market benchmark indices. Such excess returns is referred to as Alpha. Generally, more and detailed information about larger companies is available to all market players. As the stock market matures, fund managers could find it difficult to generate alpha in large cap space. This might probably explain why in mature markets like US, large cap active funds struggle to beat their benchmarks. Also therein, ETF’s / passive investment options score over active funds. But growth markets like India still offers some scope for active fund managers. And large caps are expected to be less volatile. So, if an investor is OK with generating a few percentage points above inflation over the long term & lower volatility through this investment period, large cap funds can be a preferred choice. On the other hand, if the investor is OK with relatively higher volatility during the investment journey and aims for higher returns, he comes to the mid/small/micro/sector space. Here, the fund managers try to generate relatively more alpha with specific stock picking skills. It is also a fact that markets have given higher returns from large caps during periods when they are very attractive in respect of valuations. And lower returns from mid/small/micro caps during periods when they are very expensive. Large caps tend to do well compared to mid and small caps during market corrections. Few exceptions could be calendar years 2003 and 2015. During a market ‘bull run’, mid and small caps tend to do better. Volatility is synonymous with small/mid/micro caps and has the potential to generate greater returns over a full market cycle. A multicap fund is more flexible as it can pick stocks across market caps based on valuations and opportunities and for this reason has the potential to manage returns and risk better. Having talked about largecap, midcap and multicap styles, we need to mention about sector-specific funds also. Here the fund manager identifies opportunities within the given sector/theme like banking, pharma, infrastructure, fmcg, etc. to name a few. There could be some data points to showcase that consumption / defensive, other sector themes have created long term wealth for investors. However, the point to note is these sector specific options come with higher volatility again and suits an aggressive investor. Of course, we can also observe that some sectors are lagging behind even in the long term. This could be attributed to the cyclical nature of the underlying theme.